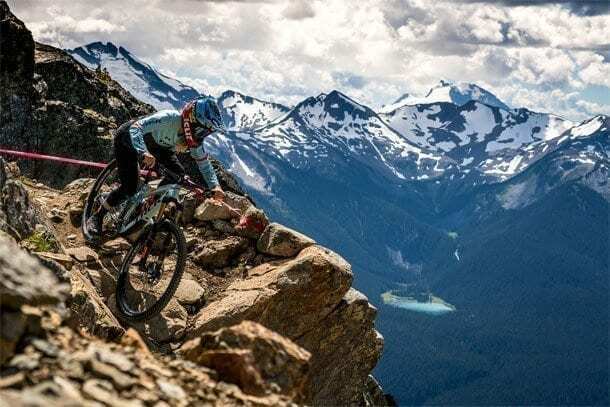 Trek Factory Racing has announced new rosters for its downhill, cross-country, and enduro mountain bike teams, redoubling its efforts to win at the elite level in all disciplines. With returning athletes as well as new and emerging talent, Trek Factory Racing’s new teams signal a strong investment in the present and future of its marquee mountain bike programs. On the heels of an extraordinary season, TFR Downhill and Rachel Atherton hope to accomplish even more in 2017. Rachel, Gee, and Dan Atherton (GBR) return with a focus on World Cup DH. The first family of downhill will also participate in heart-stopping Red Bull events, world-class track-building, and the production of new mountain bike films. Stay tuned for more roster info from the squad in the coming weeks. Going into 2017, TFR Downhill will follow Rachel’s historic perfect season and World Championship win aboard Trek Session. World Cup luminary Emily Batty (CAN) will lead the 2017 cross-country squad. Coming off her best season yet, Emily looks to improve on a 2016 that saw a 4th place finish at the Rio Olympics, and a podium at the World Championships. She will be joined by strongman Sergio Mantecon (ESP), as well as 2012 Junior and 2015 U-23 World Champion Anton Cooper (NZL). Sergio returns to TFR after a 2016 plagued by injury, while Anton returns to the Trek family looking to expand on his junior season wins aboard Trek, and ready to make a statement with World Cup results. Trek Factory Racing is a professional cycling team that competes globally at the highest level. Woven around unique, rich personalities, the team is open, engaging, and welcomes all to experience the grit and glory of professional cycling.